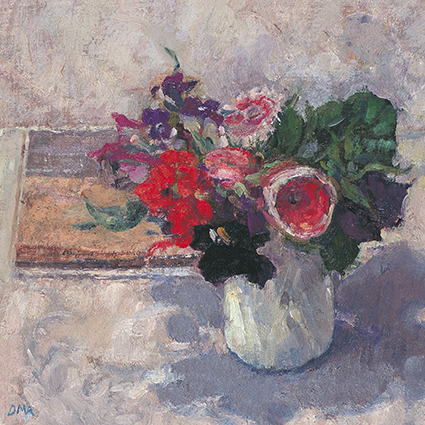 Diana Armfield, married to fellow painter and Royal Academician Bernard Dunstan was elected to the Royal Academy in 1989. Armfield studied at the Slade School of Fine Art and Central School of Arts and Crafts, London. Armfield started her career in textile and wallpaper design in partnership with Roy Passano; contributing to the 1951 Festival of Britain. 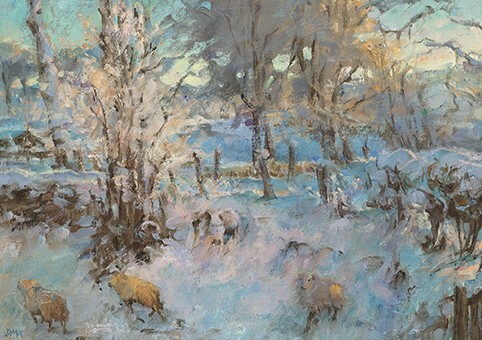 After teaching drawing at the Byam Shaw School of Art, London, for a number of years, Armfield successfully turned to painting in 1965. 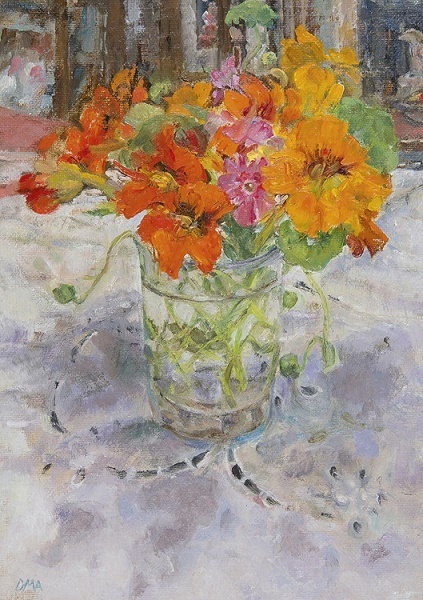 She is a member of numerous societies including the Royal Watercolour Society, the New English Art Club and a Hon. Member of the Pastel Society.